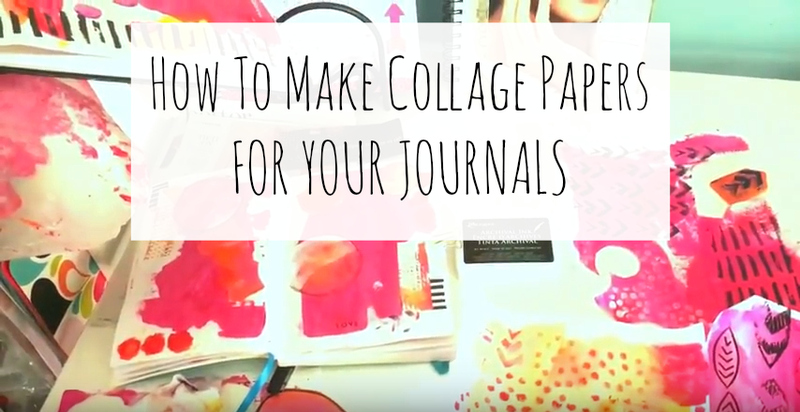 Learn how to make collage papers in this quick video tutorial. 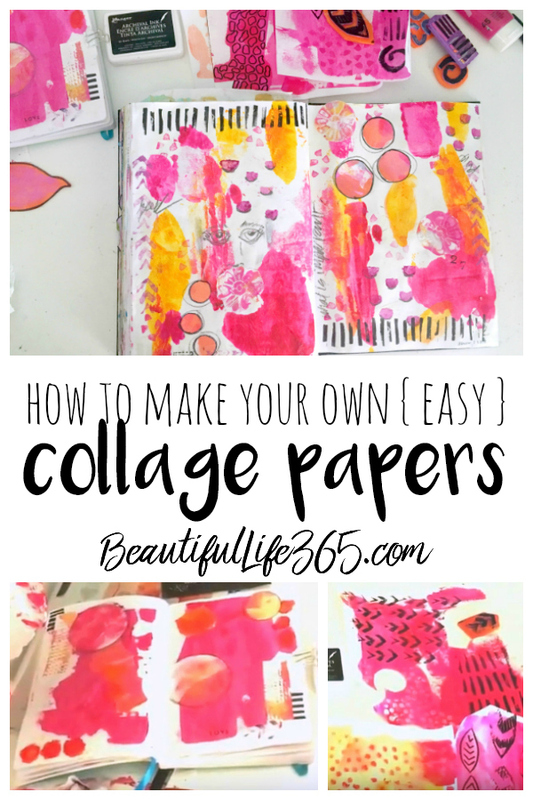 I’ve got a quick and easy tutorial for you today to show you how to make collage papers — yay! 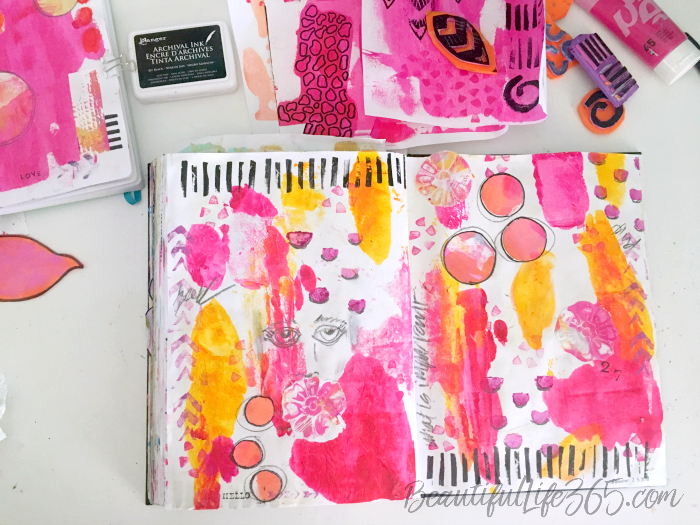 I love art journaling, but I don’t love spending a lot of money on art supplies. I’ve found an inexpensive way to create collage papers to add texture and interest to my pages — and it’s so easy you can start doing it TODAY. 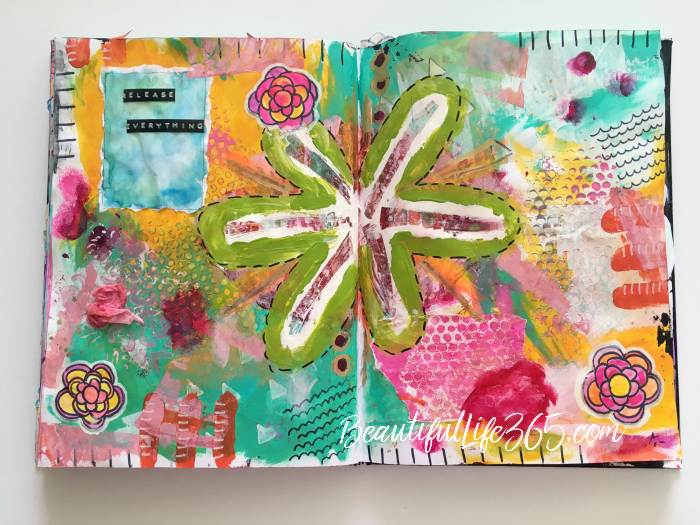 Here’s an example of how I use the collage papers in my art journal. The orange/pinkish circles were cut from mixed media paper that I previously painted with acrylic paint. I simply traced circles using a stencil, then cut them out, glued them on the page, then outlined them with a Sharpie and a pencil. The stamped flowers are also cut from previous art work and added to this layout. In this quick video I show you a few of my simple techniques for creating your own collage papers. 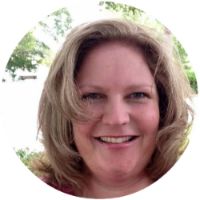 For best results use mixed media paper rather than copy paper. You may also like my DIY Ink Stamps Video HERE.